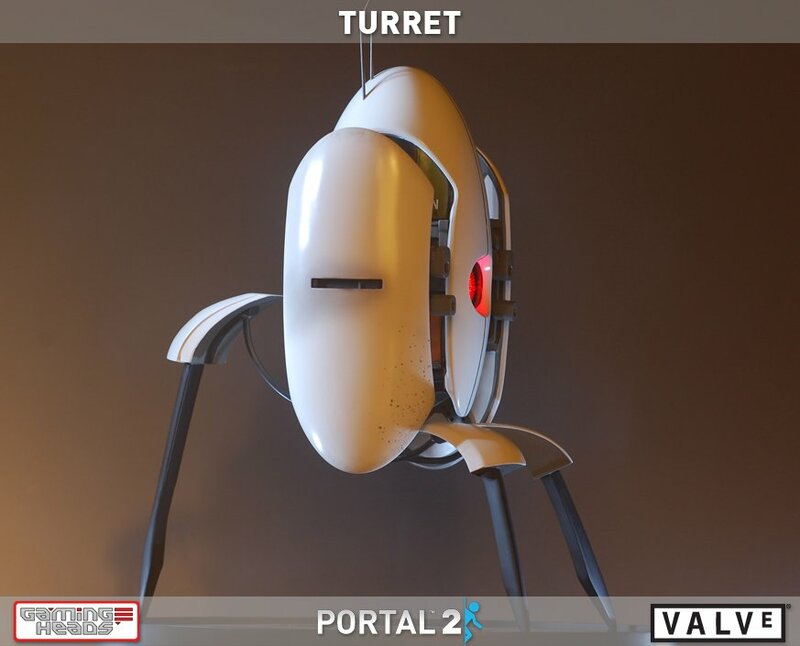 Gaming Heads is now accepting orders for their first Portal 2 statue. 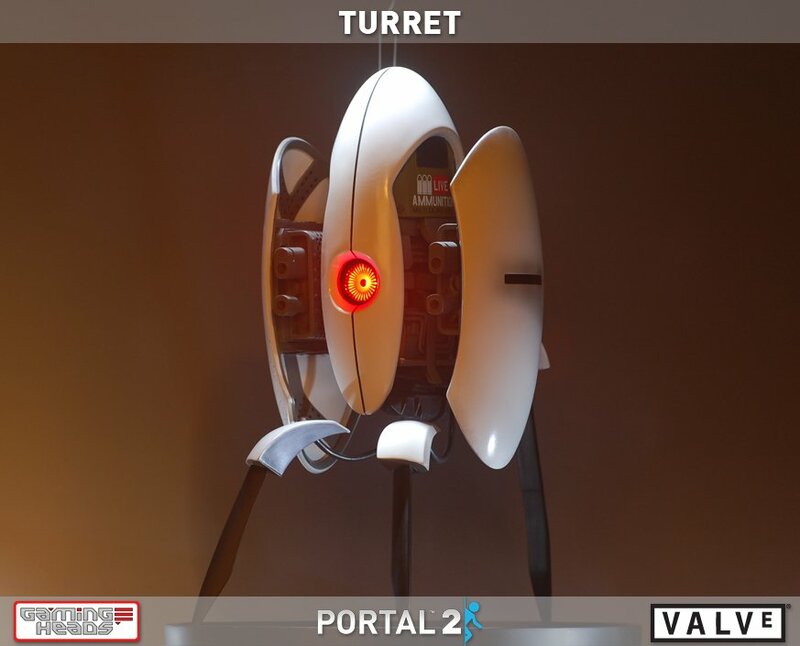 You can get a replica of an Aperture Science sentry turret to guard your bedroom for $324.99. 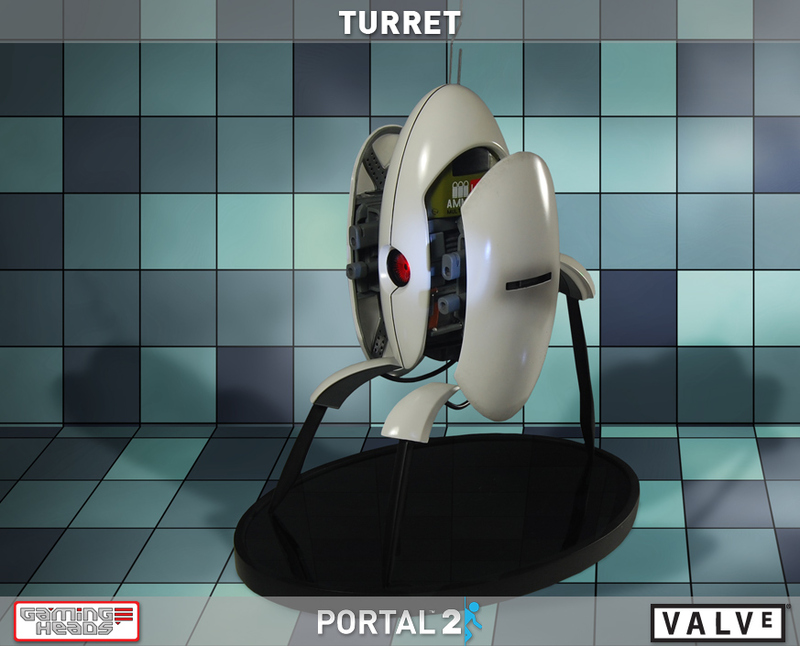 The company used the in-game 3D model of the turret to recreate it. The statue is 16 inches tall. It comes with a motion sensor so any movement in the front of the eye will activate the red light. 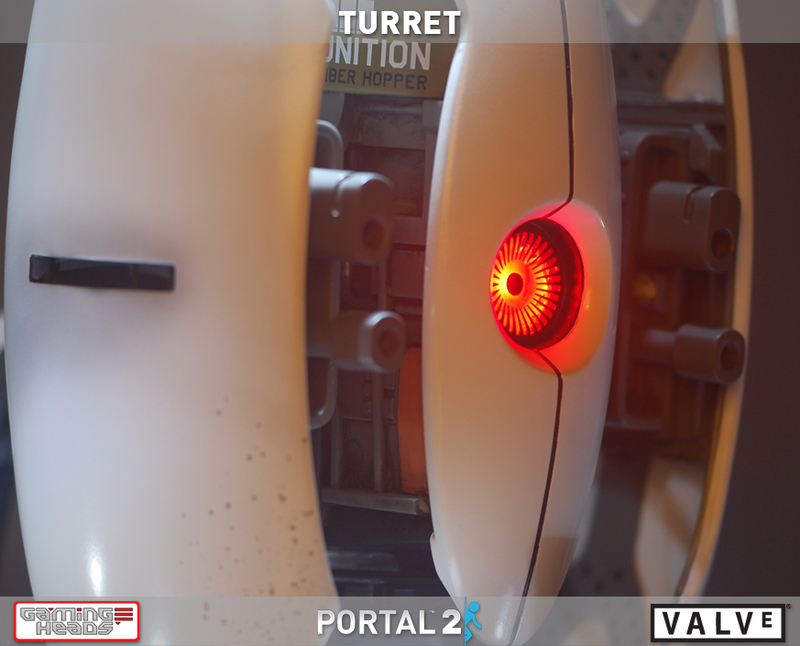 The turret also plays in-game sounds, including their activation noise and voice samples. I'm not even remotely considering a purchase but I have to admit the statues look great. The turret is made of polystone with a hand finish. The details were all hand painted. Gaming Heads plans to make only 350 of them total. The replicas will begin shipping in the final months of this year. If you order early, you'll have a better chance at securing other limited edition Portal 2 items that the company releases in the future.